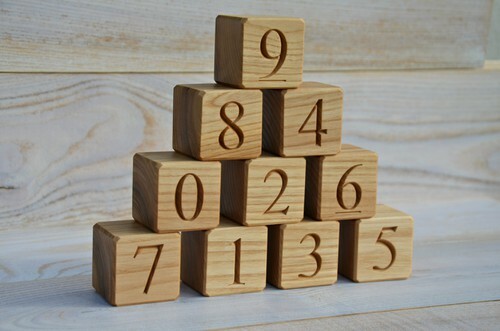 A set of 0 to 9 numbered wood blocks. 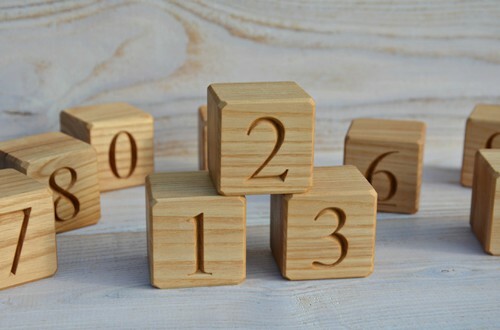 This set contains 10 cubes of 2 inches large natural handmade wooden numbered building blocks with numbers from 0-9. 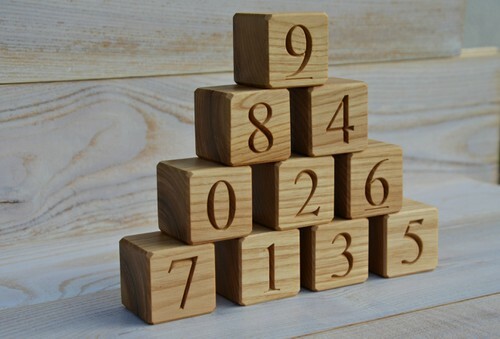 There are 10 pieces of blocks with engraved numbers. Smooth surface. The blocks are made of pine wood, treated with natural linseed oil. Packed in a linen bag. 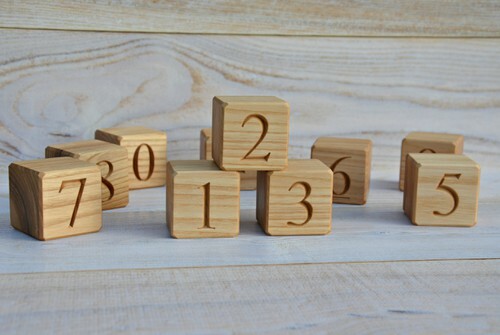 This set of numbered blocks will be a perfect baby shower gift idea or a wonderful gift on birthday. The blocks are engraved on 1 side per block. Wooden blocks are a very versatile toy. 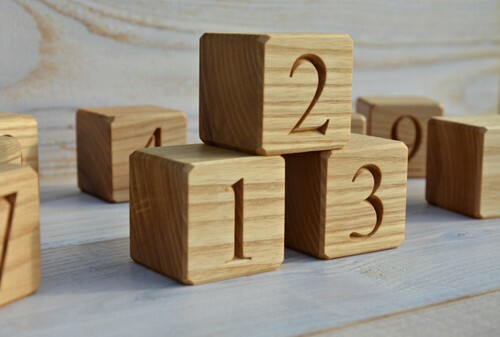 They don't just do one thing – they can be whatever the child wants them to be – a house, a castle, a car, even a telephone...You can make towers from these blocks and you can also learn to count with having a lot of fun!